Home Entertainment OCDs Of 8 Famous People That Will Make You Go WTF! OCDs Of 8 Famous People That Will Make You Go WTF! The only thing orderly about an OCD is the disorder itself! This mental state may have existed for years but the term OCD or Obsessive Compulsive Disorder was first coined in the 19th century. It may be classified as an anxiety disorder which is very commonly characterized by repetitive and obsessive worrying or discomfort- all of which make living a normal life very difficult. It is definitely a big burden to deal with, but that does not mean that it should hinder your life. Here is a look at some celebrities who suffer from Strange OCDs and have yet been able to carve a niche for themselves, almost as if their condition is what propels them to move forward! 1. 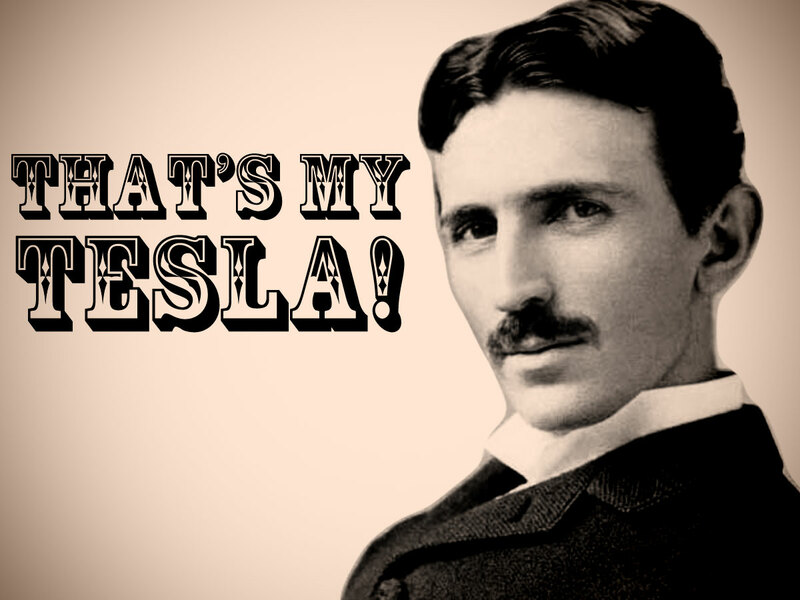 Nicola Tesla – One Of The Wisest Men Ever! Recognized as one of the greatest inventors of the 20th century, he laid the foundations of what we call modern engineering today. You can easily look around and find a lot of things that are patented by him. This electrifying brain, on the flip side, was chronically obsessive. He was obsessed with the Number ‘3’; He would walk around the block three times before he entered any building. He was also obsessive about counting his jaw movements while chewing food. He always used 18 napkins and very strangely, would never eat alone in the company of a woman. Ever heard someone having a phobia of round earrings? Yes! Tesla had it. Later in his life he had developed a phobia of round objects of jewelry, especially ear rings. 2. Richard Wallace – A Strange Gentleman! Now this is a weird OCD and involves cluttering a place to the extent that the accumulation of clutter makes it uninhabitable and then, living in it! A resident of the United Kingdom, Richard Wallace has a collection of junk so large, that it takes up an area larger than his house. Since he was unable to use the space inside his house, he had to eat and sleep in his cluttered chair. Imagine living in a mountain of clutter with new papers dating all the way back to 34 years ago! This one is sure an extreme case of a strange OCD. 3. David Beckham – The Soccer Moghul! How do you feel if one of the most high profile athletes, comes out in the open, and reveals his OCD? His symptoms of this bizarre OCD are aggravated by odd numbers and misaligned objects. Though Beckham knows that he needs to live his life normally, he still goes around rearranging things to satisfy his OCD, because fighting back is a bit too tiring at times. Everything to the furniture around him or even the drinks in the refrigerator have to be aligned properly, unless you want to piss him off and have him kick your head! Timberlake dated Cameron Diaz and there is nothing new about it. But the real steal is the info that both of them have severe OCDs and that is probably why they gelled with each other. Timberlake has two types of obsessive disorders that haunt him. Apart from an OCD of having everything stocked up in the fridge, he also has ADD- Attention Deficit Disorder. Managing both the things must be driving him crazy. Everything around him needs to be aligned at right angles. Such are the woes of a man, who is a heartthrob! 5. Cameron Diaz – The Perfect Angel! Her condition manifests itself in the fear of germs, especially on the door knobs. So the culprit is the “door knobs” which Cameron Diaz has rubbed so hard at times, that the polish came off. At her home, she opens all door knobs with her elbows and does not want to touch them. Apart from getting her house cleaned daily, she washes her hands throughout the day. She is successful in taming her OCD on the sets though! Recall a movie seen where she opened a door knob? Actually, No! 6. Leonardo Di Caprio – The Bedroom Eyed Hottie! A successful star, he has to step on every gum stain he sees on the sidewalk while he desperately tries to avoid stepping on the cracks. Though he was able to identify this condition in his childhood itself, he has come to control it most of the times now. Just that it comes to haunt him now and then. Also while he was filming “The Aviator”, he was able to utilize his OCD tendencies to optimized use, as his character, Howard Hughes, had some pretty serious germ phobia. 7. Megan Fox – The Germs Must Be In Love! A beauty with immense gravitas best defines this leggy lady. Now that she is uniting for Teenage Mutant Ninja turtles, she has been struggling with an OCD for years now. Manifesting in her head as a deep fear for germs, she refuses to use public toilets and restaurant cutlery. Though the birth of her son, Noah (which was not really a very clean event) has pushed her OCD in to dormancy, but she still gets irked at times. 8. Billy Bob Thornton – Aah! The Music! Battling with his inner self is not new to him. He went through a lot of in his life battling with issues like Dyslexia, and an abused childhood and this made him develop OCDs about safety and repetitions. He has confessed to having his mail taken out three times and then placed again in his mail box. Mentally, he assigns numbers to different people and refers to them using those numbers in his mind. There is also a song in his albums called “Always countin’” which is about this condition. Previous articleAll You Need To Know About Net Neutrality In India. Make Your Voice Count! Next articleSome tragic deaths of very Beautiful and Appealing Celebrities we still miss !!! !